Even after release, Hacktag remains an odd sort of beast to me. It is, and, at the same time, isn’t my sort of game. 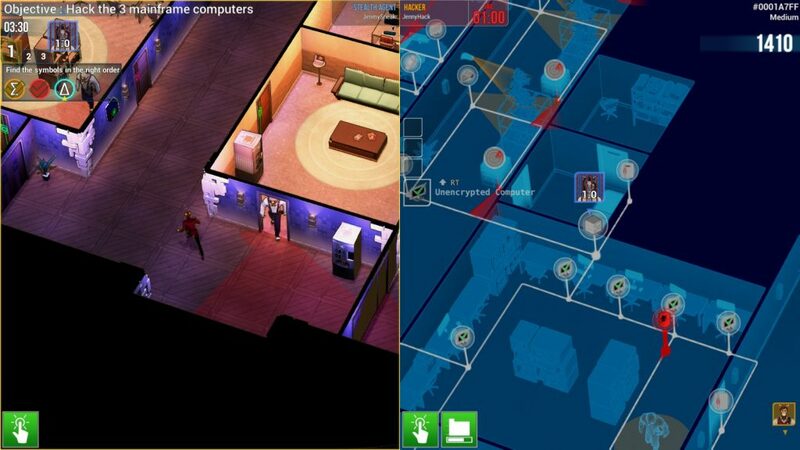 It remains recommended because, despite my own problems, it is, nonetheless, an interesting and fairly accessible take on co-op stealth/hacking games. Goodness me, that was a bit of a mouthful. Let’s back up a sec. 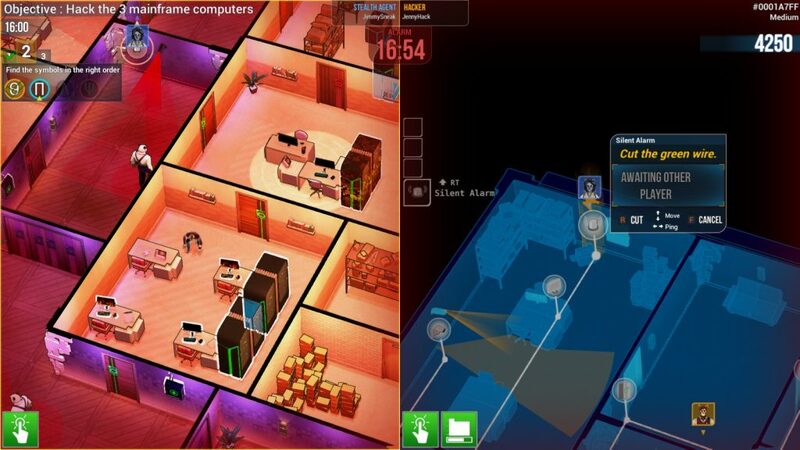 Hacktag is, at the same time, competitive and co-operative, involving an anthropomorphic (that’s animals as people, in this case) world of corporate espionage, in which two players steal data in one of three mission types, either as a stealth operative, or a hacker. 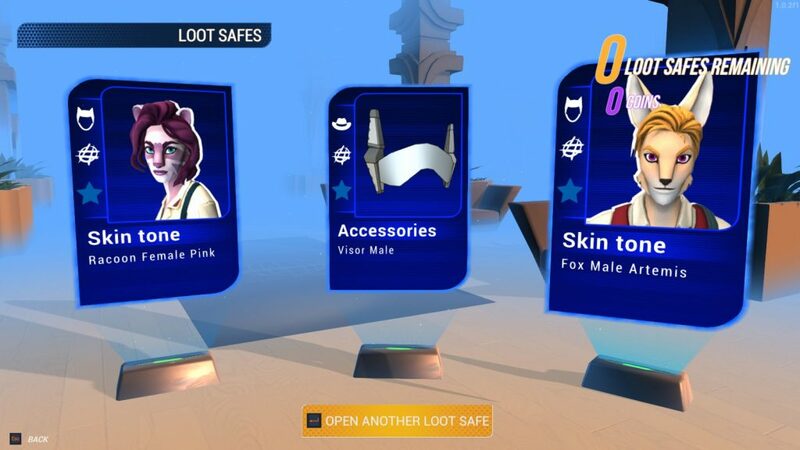 The gameplay in each is different, but has the same base idea: Do the things, don’t get caught, and if you do get caught, hope your friend (or you, in the case of Solo play) don’t get caught trying to bust you out. Occasionally, you do things together, and, overall, it’s a tense experience. I’ve already mentioned that I find it a little odd that, despite its co-op nature, players are scored (and level up) separately, especially as co-operation is, in at least some cases, mandatory. 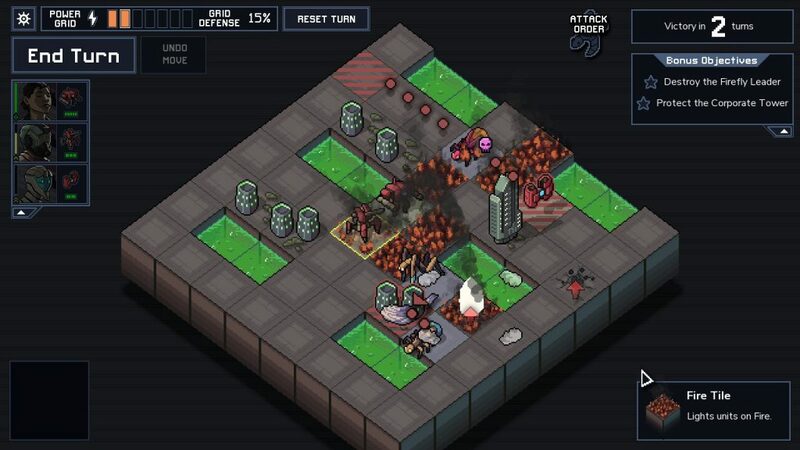 Indeed, part of the tensions comes from situations like one player trying to unlock the way ahead for the other, to run into a situation like the alarm trap, which requires both players to deactivate (Indeed, one of the pictures of this review is a fine example of when this happens.) Nonetheless, unlockables, co-op play, an interesting visual style… There’s a lot to recommend it. It isn’t, as it turns out, my particular cup of tea, but if you’re looking for something new in a relatively small genre (at the present time, anyway), this may well be worth a look. 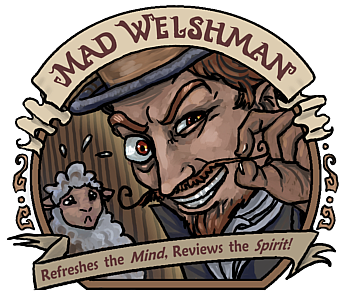 The Mad Welshman isn’t, as it turns out, much of a multiplayer feller. OOPS. Welp, back to the time machine, folks! 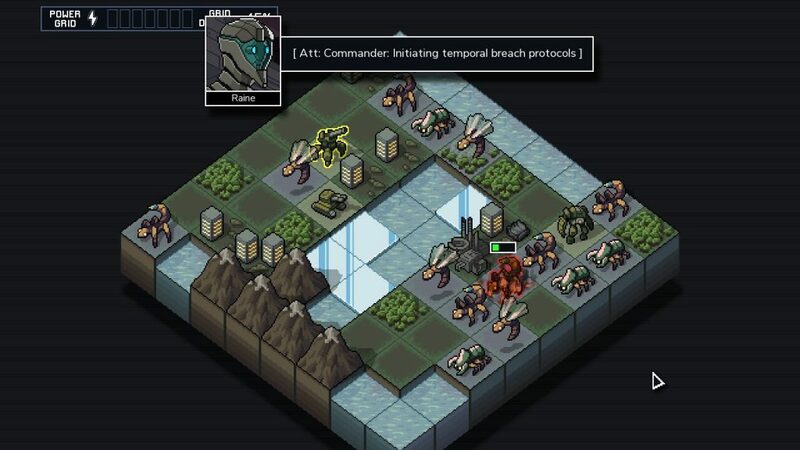 …Still, Into the Breach is Subset games’ latest foray into their particular brand of tight, replay dependent strategy, in which three mech pilots (One of which, at any given time, is a traveller from a future where things went horribly wrong) try to hold back an insectile menace, mostly without backup. It’s turn based, and with the clever gimmick that, due to time travelling shenanigans, you already know what your enemy is going to do. Well, to a certain extent. 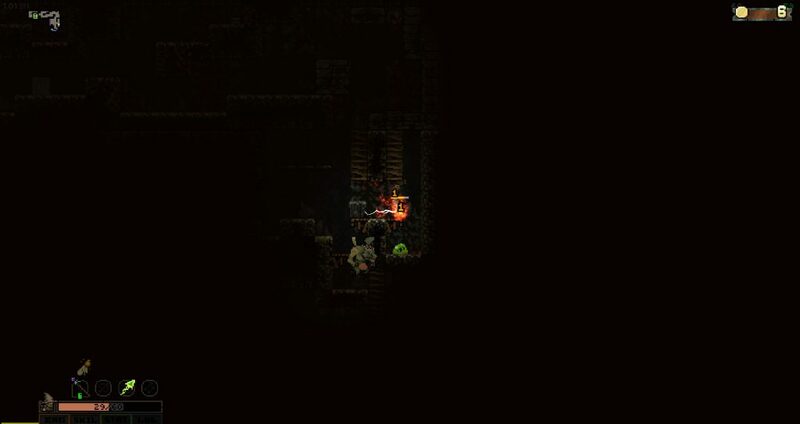 You know what they’re shooting at (and are capable of), and you can take advantage of this to, for example, shove one of them with artillery or a punch in such a way that they actually hit their bugfriends this time around. As such, it’s a highly tactical game with a lot of depth, which you might not realise looking at screenshots, as every mission is an 8×8 map. On its most basic level, there’s always at least as many of them as you (unless you’re super good), so simply doing damage isn’t enough. 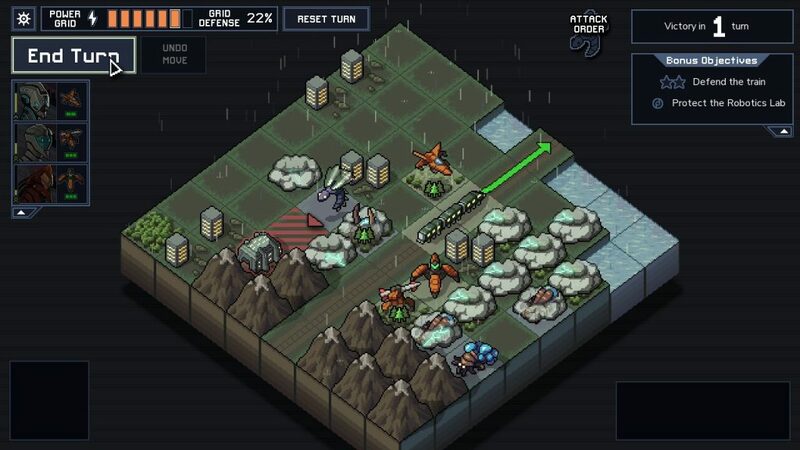 In fact, at least some of the time, you’re merely going to be concentrating on avoiding housing damage, as, with enough loss of life, that’s it, the Vek have reached critical mass, time to bug out and maybe find a timeline where you did better (taking one pilot with you.) But then, it adds layers. Pushing and pulling enemies as well as hitting them. Status effects. Synergies. Environmental considerations. Ahhh, nothing like saving the day by setting things on fire, and then shoving things *into* fire. Or acid. Hell, just plain water does well sometimes too! Since explaining everything would most likely be rather dull, let me focus on a team that I never thought I’d like… And yet, they consistently get closer to victory than any of my other mech groups. Heck, even their name (The Rusting Hulks) and their price to unlock (a measly 2 coins) doesn’t exactly inspire confidence. The fact that one of their units doesn’t even hurt enemies seems, at very first glance, like the waste of a unit. But this is where it gets fun. Because, you see, the other two units drop smoke. Smoke which, to them and them alone, also electrocutes enemies at the beginning of their turn, on top of what smoke normally does in this game: Stop you being able to attack if you’re in it. It hasn’t taken me terribly long to get to the point where things have slowed down a little (A straight night of play has earned me all of the islands, most of the pilots, and some of the teams, with two almost wins) , but, even with everything unlocked, I see the potential here for me coming back. What if I have an all-shoving team? Or having to watch my collateral with highly damaging beam weaponry? Hrm. Hrrrrrrrm! Smoke and mirrors. Okay, and riding the lightning too, but let’s not go overboard here! It helps that the music is tense, fitting, and atmospheric, the sound solid, the visual aesthetic similarly tight and consistent, and, best of all, it tutorialises fairly well, and is pretty clear. I would consider this a pretty strong purchase for strategy fans, and another fine example to add to my collection of designing clearly and tightly to goals. Props. Burninate the towns… Burninate… Oh, wait, no, that’s the opposite of what The Mad Welshman is meant to be doing! Sorrrreeeee! 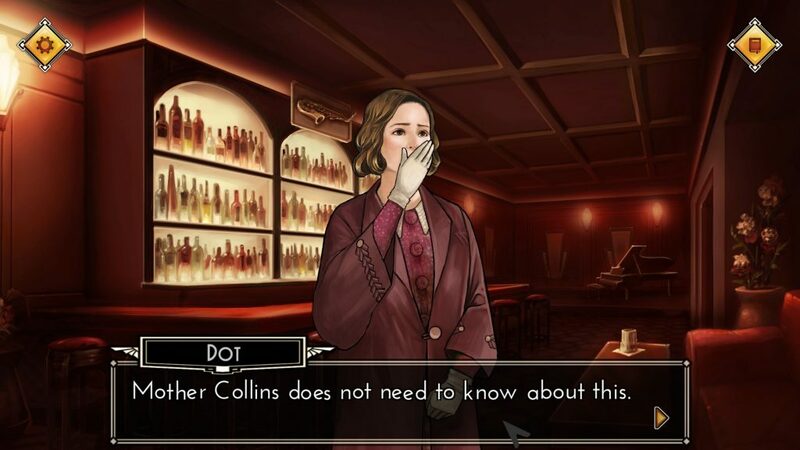 It’s a somewhat sad truth that there are very few games about detectives that make you feel like a detective. Unless, of course, you’re after the Lestrade experience, where you bang things together until somebody archly takes you aside and tells you how you’ve been doing it wrong all this time. 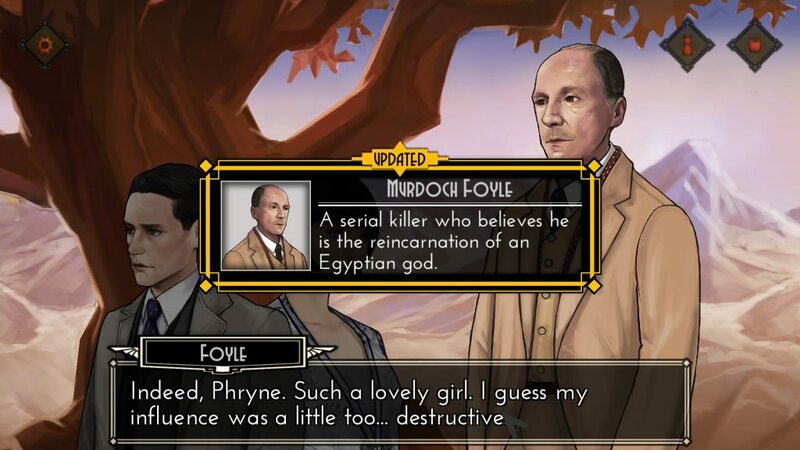 And so it is with the Miss Fisher Mysteries episodic adventures so far, an oddly hollow experience after you reach past the surface value of it being more adventures of one of the more characterful and interesting detectives in recent history. On the absolute surface of it, the music is fitting (It should be, a fair amount of it comes from the show), the paintings of the characters and locations are solid, and it’s accessible. But even here, oddities begin showing up. No windowed mode (or, more accurately, you can Alt-Enter, but it won’t be terribly useful.) Saves are within episodes (so you have to start the episode to load a save, going through at least the introductory cutscene.) If you guessed, by the price, that the cast of the television series were not going to make an appearance (or, indeed, voice acting), you’d be 100% correct. That, at least, I’m not really willing to judge beyond making a note of it. The rest, however? That, I’m willing to look at a little harder, and, honestly, it just feels unsatisfying. It’s an adventure game of the “One correct path, and no progress until you do the thing” variety, and progressing… Well, when the first episode is resolved with repeated “Talk” commands (and, in the context, this is rather lacklustre ), I can’t help but feel a little cheated. This is a dramatic moment, folks, why the variety of textboxes? Both episodes can be completed in a single afternoon, but… Even knowing this, after the first episode, I wasn’t entirely sure I wanted to. And a big part of this is that it feels more like a highlight reel, sapped of context, than a fleshed out adventure. Ah yes, one of those times when Dot is shown something “sinful” in order to progress the plot. Noted running theme. Here’s your general guide to Murdoch Foyle, serving double duty in this scene as one of two clues you’re given *in* the scene to bang together! 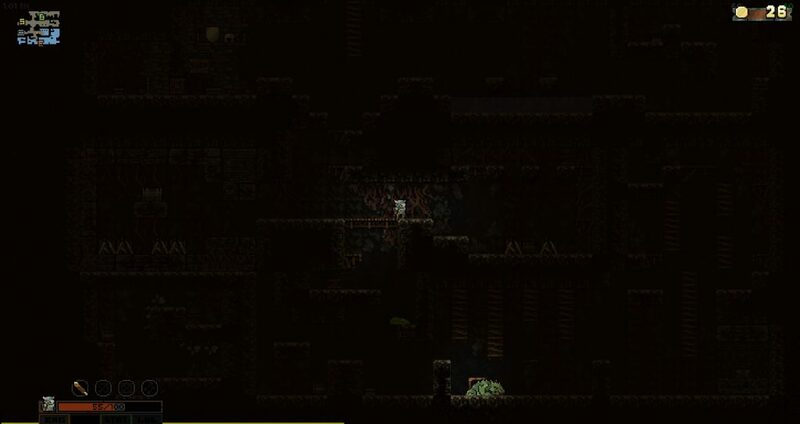 The Mad Welshman often has difficulty, with short games like this, to avoid spoilers in the images. He hopes that nothing has surprised you, as he picked on the basis that it didn’t surprise him. 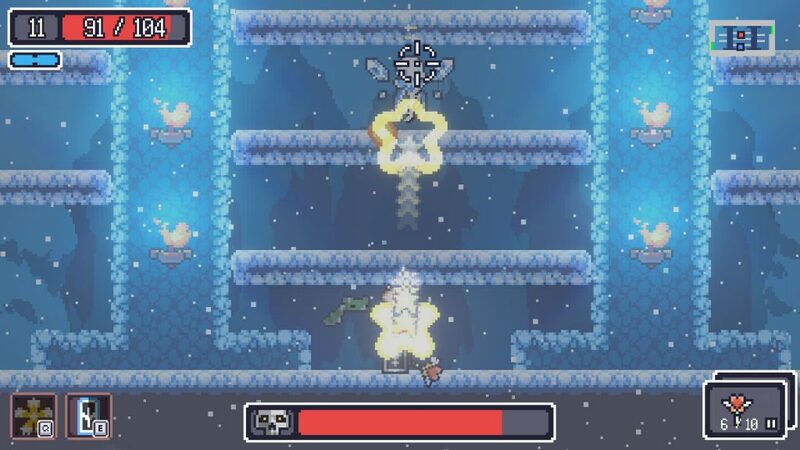 Dungreed is an odd game to me, in that it is, in its first hour or two, definitely enjoyable, but, due to the nature of its progression, becomes… Well, a bit of a slog from the middle of it onward. Which is a shame, because some of its bosses are actually quite interesting and amusing. So, to sum Dungreed’s basics up simply, you are an adventurer, who’s come to rescue a town from a dungeon that’s literally eaten the village. It’s an action platformer shooty/slashy type deal with rooms put together procedurally, and, importantly, at the end of each run, you lose all but your basic shortsword, and most of your money. 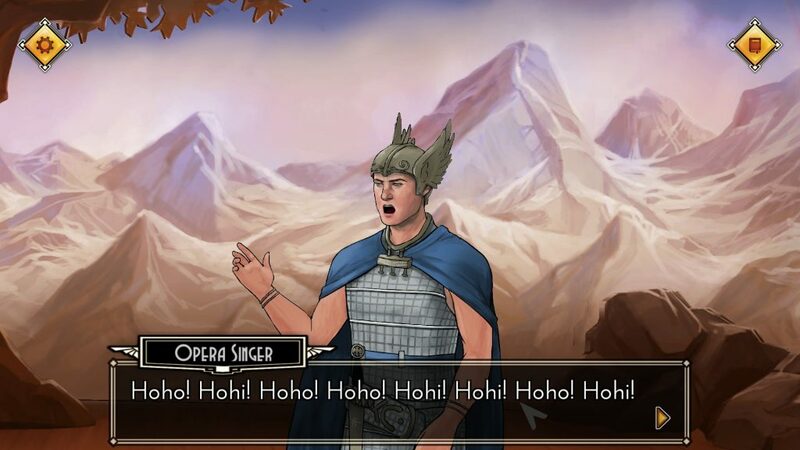 Pictured: Possibly the most fun boss in the game so far. “But wait, Jamie, why would the game do something so cruel?” Well, partly to introduce variety, partly to give you a chance to level up, and partly so you end up interacting with the villagers you save, all of whom add a selection of kit to the dungeon’s random drops, a few random NPCs wandering around, and features that are meant to make your next run just that little bit easier. 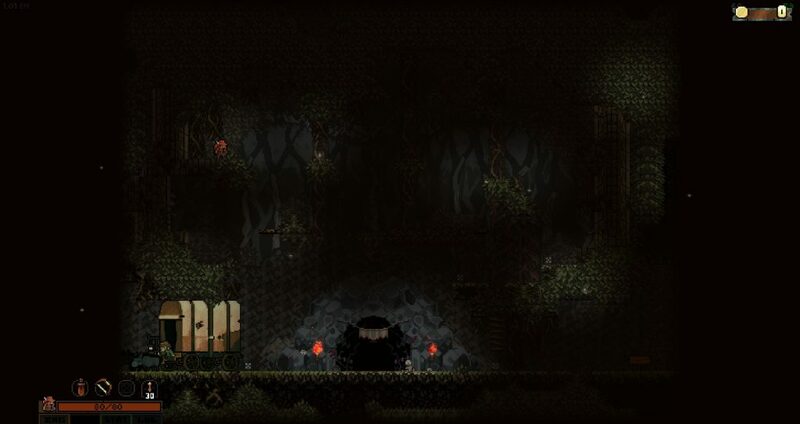 The Blacksmith, for example, gives you a random item. Could be a weapon, could be an accessory, could be ranged, could be melee. 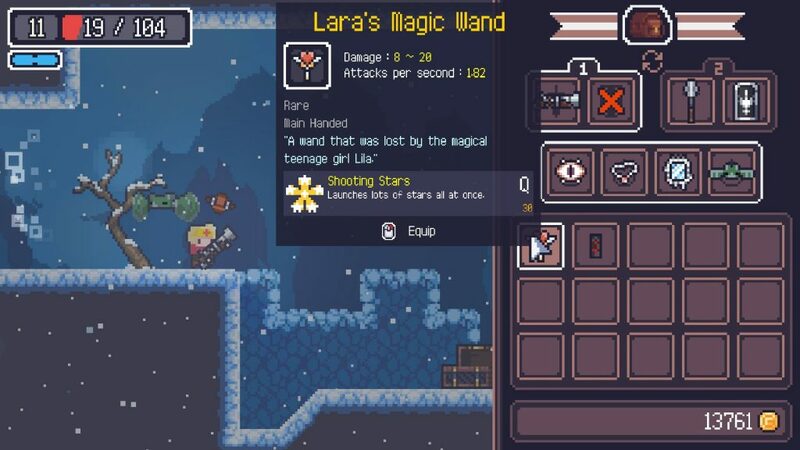 The shopkeeper lets you buy things (for when you’ve not got any NPCs to build village features for), the trainer levels you up (with each 5 points in a stat adding an ability to your stable like double jumping, shopkeepers costing less, or extra damage), and so on. And then you start from the beginning. Which, funnily enough, is both its problem, and not one I can see much of a win for. See, the bosses are fine, and one, Niflheim, caused me to laugh and cry out to my friend “Wow, I just got killed by a Touhou in a roguelike!” (As her boss pattern, music, and aesthetic are all highly reminiscent of bullet hell shooters, specifically the Touhou games.) But by the time I’ve gotten to Niflheim, I’ve gone through several floors, with much the same preffered weaponry, having consigned much the same equipment to either use, or, more commonly, what can be called vendor/altar trash. Some, like the Matchlock Rifle with its pause before firing as well as a slow reload, more readily than others. The further I get, the further I have to go, and the less I enjoy the preceding run up to whatever boss comes next, as, until I meet a new boss or a villager, all I’m doing is… Marking time. Time which increases the further I get. A mix of melee and ranged is recommended, but heck, most of the ranged options are so much fun! Which is a real shame to me, as the game’s aesthetically consistent, does some fun things with its music (As noted, Niflheim’s boss music is highly reminiscent of its inspiration) , and the enemies do have variety and interest… Just… Not quite enough to keep me going for this final stretch. Fun at first, it’s become, over time… Alright. The Mad Welshman is a walker by habit, as opposed to a marathon runner.